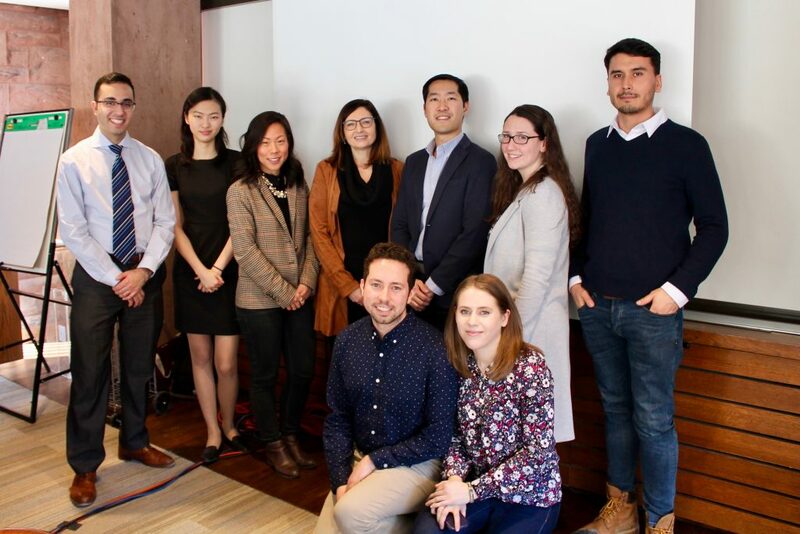 Members of the winning team Arsalan Esmaeili, Cindy Liu, and Nicholas Chu pictured with the Urban Policy Lab’s graduate fellows Rebecca Hellam, Samuel Jerez, Matthew Plouffe, and Breanne Bateman, and judges Carolyn Kim and Kelly Strueby. 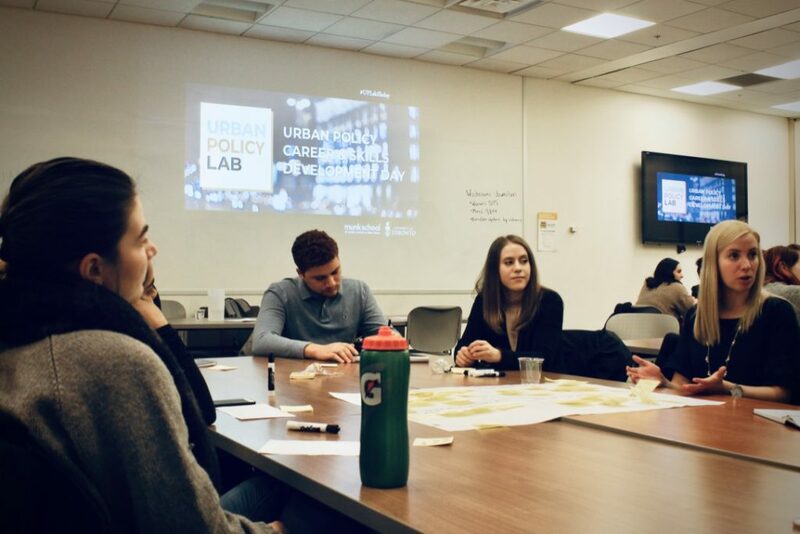 Past topics have ranged from mental health within Toronto Community Housing, to digital government, to affordable housing. 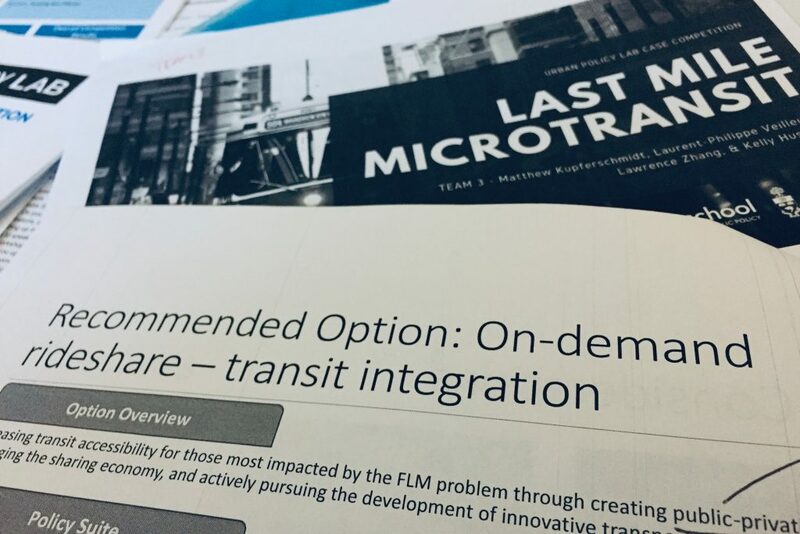 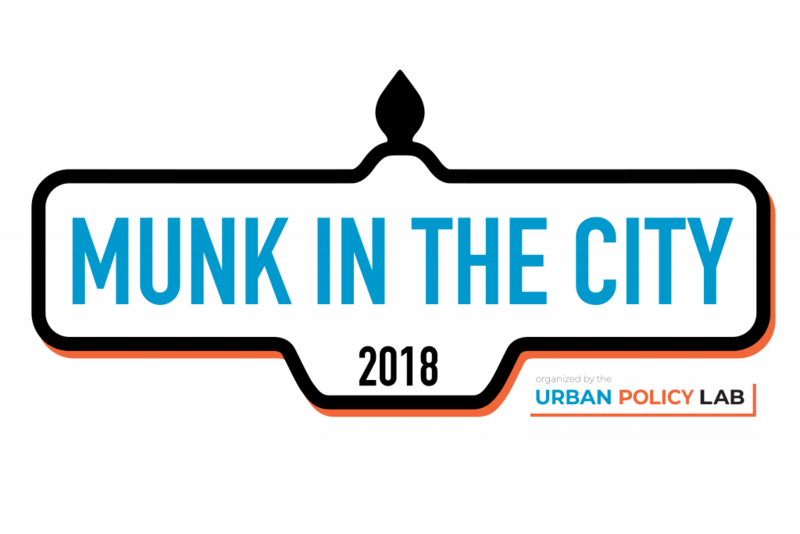 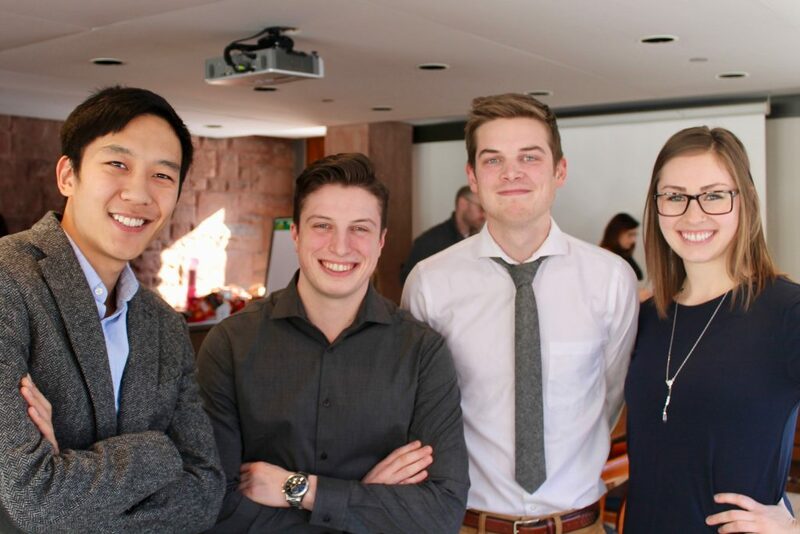 This year’s competition challenged thirty Master of Public Policy students to brief a panel of expert judges on innovative policy solutions to the first and last mile transit problem in Toronto. 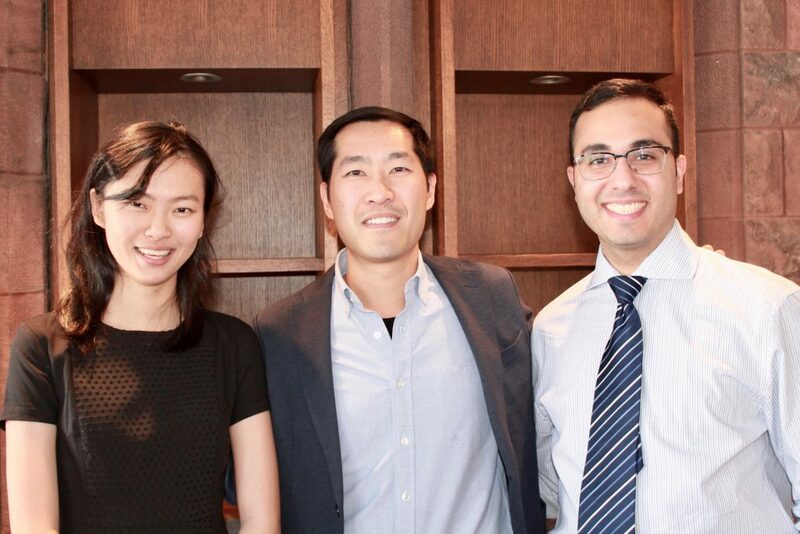 Members of the winning team (left to right) Cindy Liu, Nicholas Chu, and Arsalan Esmaeili.